One of the world's most exciting cities! 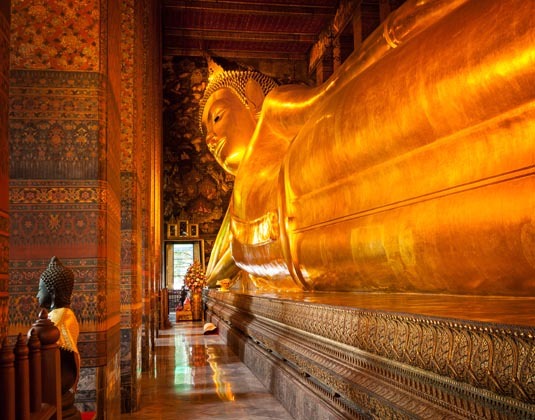 During this half day tour you will see three of the most distinguished temples in Bangkok: Wat Trimitr, the Temple of the Golden Buddha; Wat Po, the Temple of the Reclining Buddha and Wat Benchamaebopit, the Marble Temple. A half day exhilarating long tailed speedboat ride through the rural life by the klongs (canals) followed by a cruise in a restored teak rice barge along the Chao Phraya River. 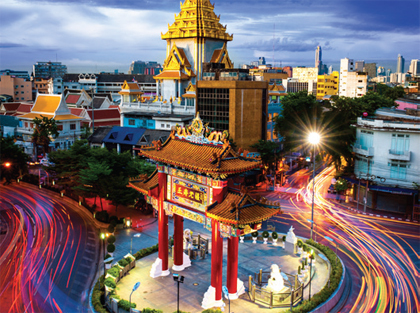 Enjoy the bustling district of Yaowarat (Chinatown). Stroll the main street towards Paklong Talad flower market, then stop along Khao San Road where there are restaurants, pubs and market stalls. Available daily (except Mondays). 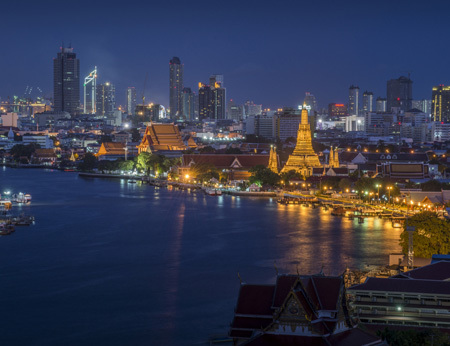 A 90 minute tour to the stunning Grand Palace complex is a “must-see” for all visitors to Bangkok. The complex includes the Temple of the Emerald Buddha. 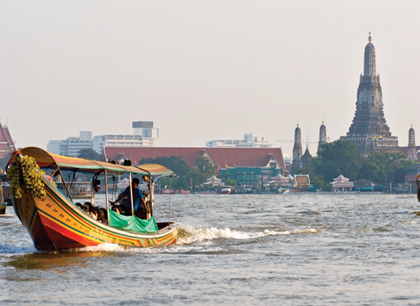 Half day cruise along the Chao Phraya River by motorboat to the klong of Thonburi to observe local life. 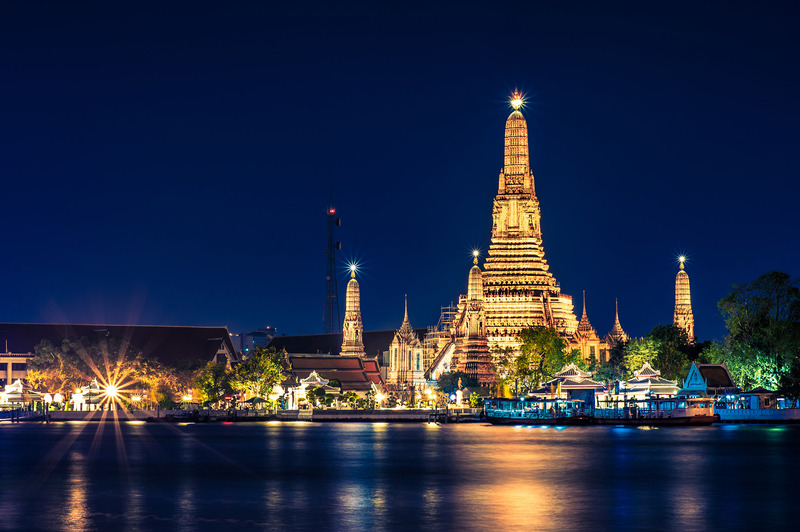 A stop is made at Wat Arun (Temple of Dawn) as well as the Royal Barge Museum. Your half day tour begins with a drive through rice paddies before your long-tail speedboat journey to the huge floating market. 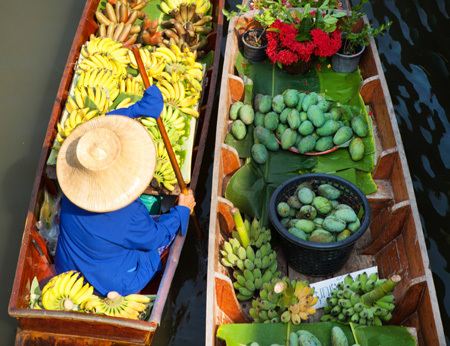 Full of vibrancy and local life, witness Thai canoes laden with colourful fruits and vegetables. 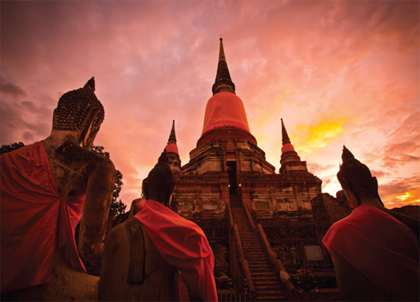 This full day tour takes you to Ayutthaya, once a thriving capital but today only ruins can be seen. The ruins of the Palace and temples are quite spectacular with many still intact giving some idea of how glorious this capital was. 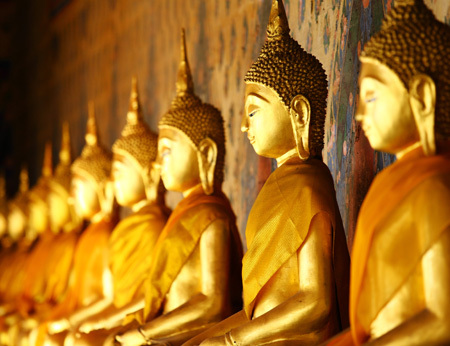 A thrilling full day tour which includes Wat Trimit (Golden Buddha), Wat Pho, which is home of the Reclining Buddha. 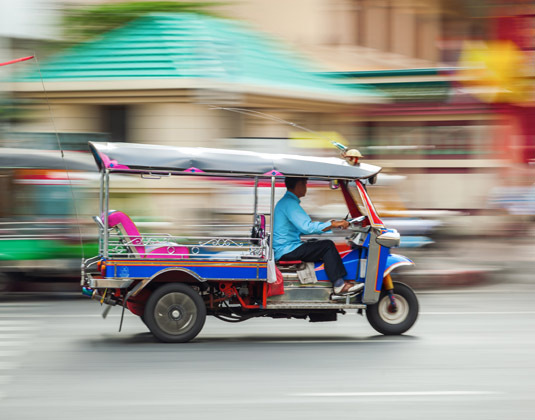 Ride on a tuk-tuk to the Grand Palace and the Temple of the Emerald Buddha. 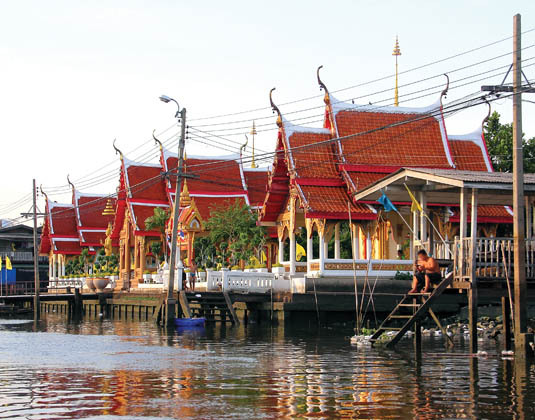 Walk to the pier and take a long-tail boat along the canals and Chao Phrya River.